Olympic dreams all 36 of them! One of the great things about life is the capacity to surprise. Beyond surprises though are the hopes and dreams that inform all of our greatest achievements. Today marked one of those brilliant moments when the first of the thirty-six female boxing Olympians donned the gloves to make their mark on history. The first women to step into the ring were two flyweights: Russia’s Elena Savelyeva in her bout against North Korea’s Hye Song Kim. The rounds were hard fought if not the most elegant of bouts, but it didn’t matter. Both women fought with heart, tenacity and gumption having both spent years in the ring perfecting their skills for that one moment. Savelyeva won the fight by a 12-9 decision after four rounds–and with her win, what had at one time seemed so impossible became something ordinary, women boxing at the Olympics as if they had always boxed at that vaulted contest whose history as a venue for boxing spans millennia. And to my mind, watching it through the miracle of digital images transported across space, Teddy Atlas‘ voice speaking to the heart of what makes a champion, it was hard not to feel the pomp and circumstance of the Olympian spirit that permeates the Games in the best sense. I thought of old Nestor in The Iliad lamenting his age and its denial of his chance to sport once more in the ring of combat. It gave those moments a kind of “churchiness” as each young women resplendent in blue and red, their shiny new head-gear and gloves in place; gave it their all with skill and ring savvy and dreams of Olympic glory informing their pas de deux around the canvas. I ached for Queen Underwood whose years of hard work came to a crashing halt–pushing through tears as she spoke so eloquently for the cameras about her 21-13 loss to Natasha Jonas. Queen fought with fire, each punch the culmination of thousands of hours of gym time as so many pathways of muscle memory. She said, “I took a big jump in my life to get here.” And she did, but more than her jump, she jumped for all of us. Yes, she is terribly disappointed that she didn’t go on–but she should also know that she was a champion walking into the ring and no less a champion walking out. Perhaps that’s the point. Each of the thirty-six athletes who will box over the course of the next few days has taken a big jump to get to the Olympics. 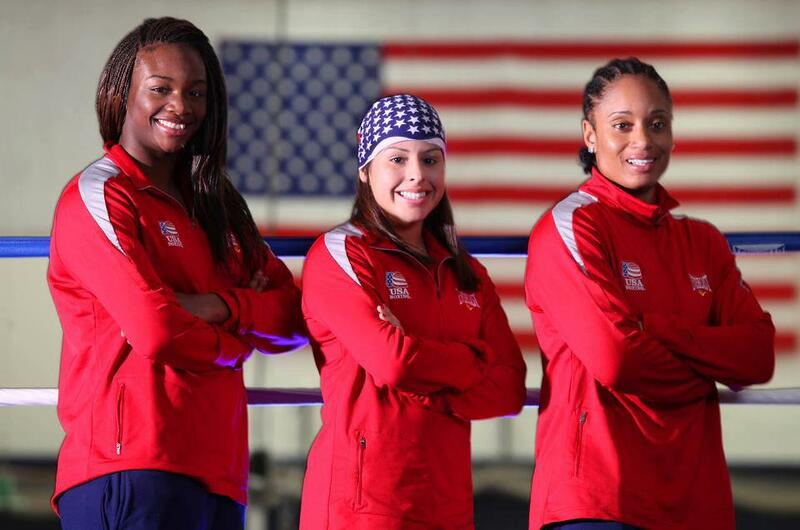 They have endured countless years of hard labor at their craft and have overcome the personal trials and tribulations that inform a life to step up into the ring in the first place–not to mention enduring the “slings and arrows” if you will, of a wider public that has been somewhat unforgiving when it comes to supporting the sport of women’s boxing. What I saw today, however, was a brilliant display of skill and temerity–pure and simple and as my husband put, “I keep forgetting that I’m watching women because they’re just great boxers!” Would that all of us could embrace this wonderous sport with such ease. Today’s bout sheet results from AIBA!